Following the Sochi Winter Olympics which focuses on Russia here is a musical treat that does the same. There is a rich musical heritage that derives from the classical and folk traditions of Eastern Europe and Russia. 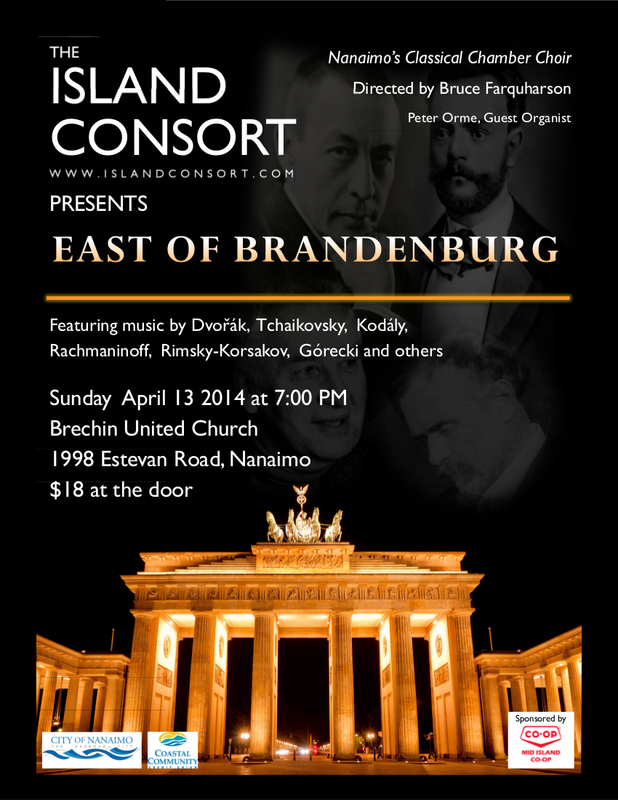 The Island Consort chamber choir presents “East of Brandenburg”, a program of wonderfully varied sacred and folk music that is a celebration of the greater accessibility that has come about since the fall of the Berlin Wall. 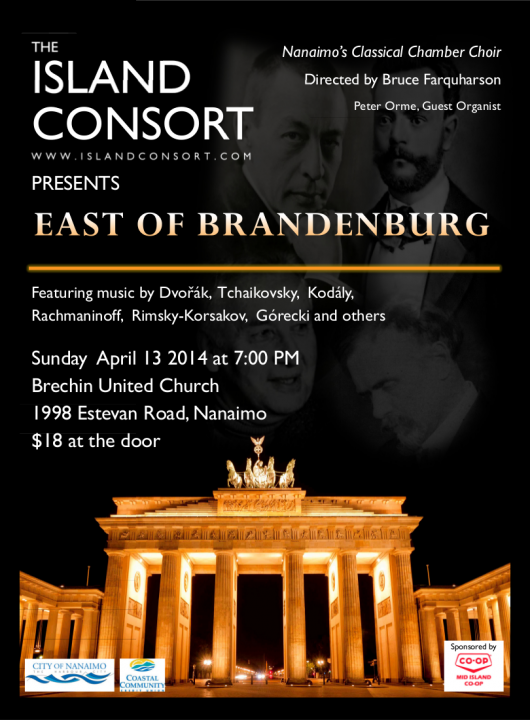 Under the direction of Bruce Farquharson, the choir will perform music by Russians, Rachmaninoff, Tchaikowsky, Rimsky-Korsakov, Kalinnikov, Glinka, Taneyev and Falik; by Hungarians, Seiber and Kodaly; by Latvian, Miskinis; by Czech, Dvorak; and by Poles, Zielenski and Gorecki. 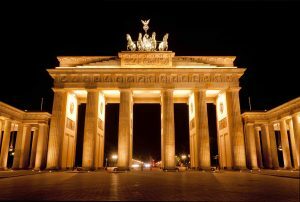 Some of the music has been translated into English but the choir will also be singing in Russian, Hungarian and Polish. The Island Consort will be joined by organist/pianist, Peter Orme, for Dvorak’s Mass in D and for Glinka’s Travelling Song (Poputnaya Pesnia).